ga·ble (gā-bəl) n. A type of roof containing sloping planes of the same pitch on each side of the ridge. Our selection of gable sheds are a popular choice because they're an affordable storage solution and compliment almost any home style. 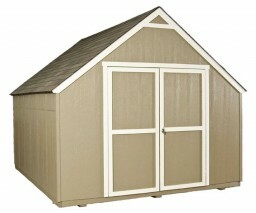 This style is perfect to store lawn and garden equipment, or use as a hobby room or workshop. 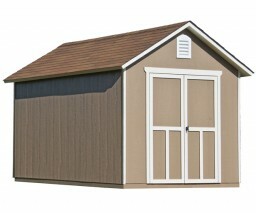 All of our storage buildings are made in America and include free delivery and installation*. 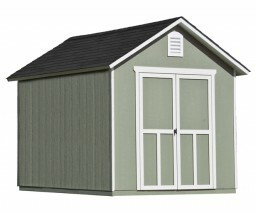 Gable style sheds serve numerous functional and decorative purposes. 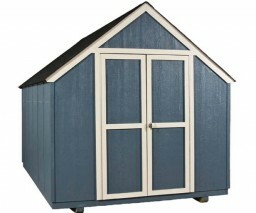 Also check out our Gambrel sheds and Ranch sheds to see which style might be best for you. Let’s face the facts. As families grow, it seems that the space inside our home disappears. That is where a spacious and resilient wood shed comes in. 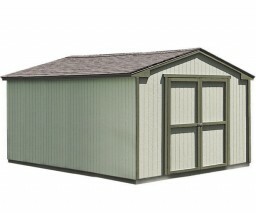 Our line of affordable sheds are designed and perfected using a state of the art manufacturing process to ensure every backyard storage solution is strong and multi-functional. 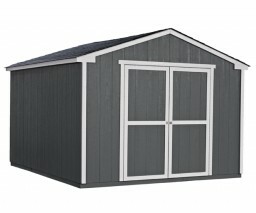 For your convenience, our experienced installation team will build your shed right in your backyard. With today’s busy lifestyle, that is one less thing to worry about. Our sheds are fully protected from the elements on the inside and out. 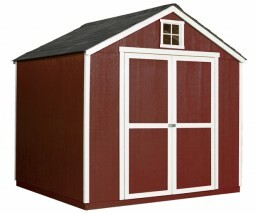 Our sheds have a strong wood frame construction that stand up to heavy wind and snow loads. Our premium, engineered wood siding shows off a beautiful finish that is also resistant to rot, decay and insects. Next, you will appreciate the wide double doors with galvanized steel hinges that provide easy access and prevent door sagging. Finally, all sheds include 25-year asphalt shingles which means your valuables will be safe and secure for many years to come. 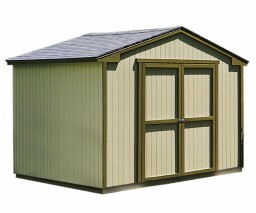 Our sheds are not just affordable, they are easy to customize too. For extra storage space, functionality and visual appeal, we have shelving, workbenches, flowerboxes, garden caddies and leveling packages available. Best of all, you can design your ideal storage solution online from the comfort of your living room. Your custom backyard storage solution is only a few clicks away!